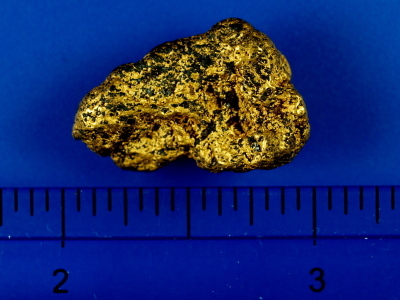 This is a very rare nugget found in the Mojave Desert in California. 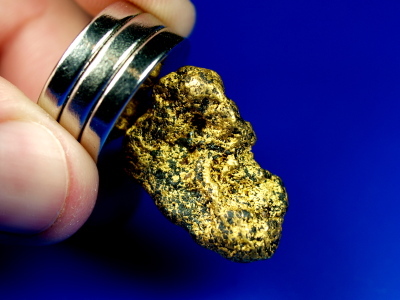 As you can see from the picture, it is a rare MAGNETIC NUGGET! 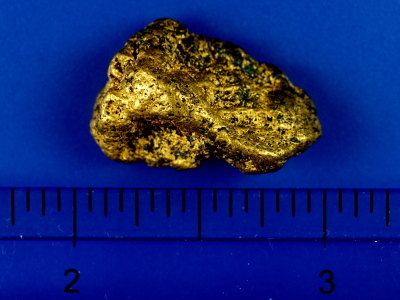 Of course, it isn't actually the gold, but rather its matrix with magnetite that holds attraction to a magnet. 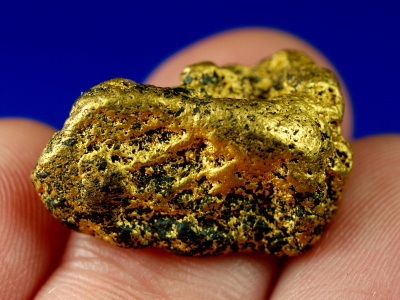 Truly a rare and unique gold nugget. This is a must have for any quality gold collection. The gold mixed with black magnetite makes for an extremely attractive piece as well. It weighs 12.55 grams. I can't guarantee that we will get any more nuggets like this, so get it while it lasts, when it's gone it's gone.